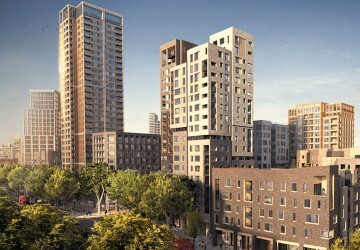 The two main developments at the heart of the regeneration are Elephant Park (on the site of the former Heygate estate) and the new town centre which will replace the Elephant and Castle shopping centre. 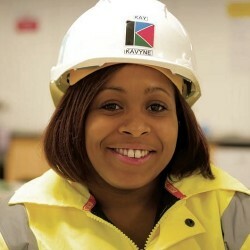 Overall, across the Elephant and Castle area, there are currently 21 projects that form the core of the regeneration programme (either complete, underway or in the pipeline). These are in addition to the ‘early housing’ developments built to rehouse former residents of the Heygate estate. All of these projects can be found on the Regeneration Map as well as the early housing sites. Elephant Park is a major mixed-use development that will create almost 2,500 new homes (including the recently completed Trafalgar Place) and the largest new park in central London for 70 years. 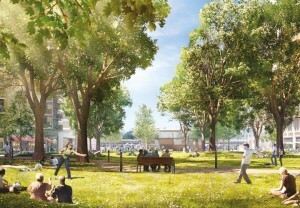 The first part of the park as well as the new Walworth Square are already open. Work is progressing on the next three phases of the development which will also provide around 50 new shops, restaurants and cafes. The developer, Lendlease is committed to reinvigorating the area with a number of new green spaces – retaining over 100 mature trees and planting hundreds of new ones – and wants to ensure the development is one of the most environmentally sustainable urban regeneration projects in the world. Lendlease is a participant in the Climate Positive Development Programme, which means Elephant Park will be climate positive when it completes in 2025. 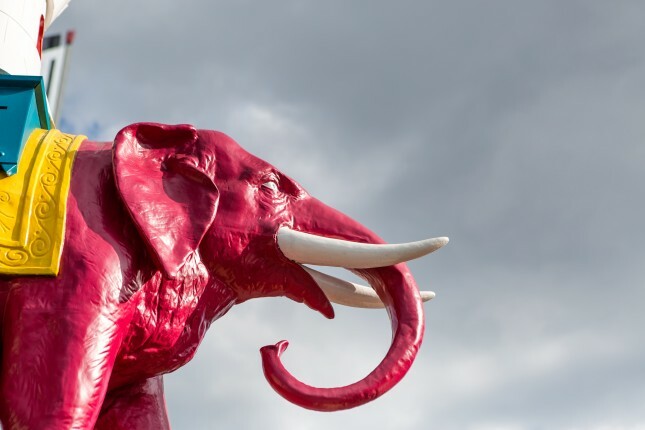 Elephant Park will include a combined heat and power plant, the Energy Hub, to enable the delivery of net zero-carbon heating and hot water to all the new homes. A new town centre is being developed for Elephant and Castle. It incorporates the shopping centre, a new campus for London College of Communication and an adjacent site of 1.25 acres, fronting Elephant Road. The proposals will make the area more open and accessible – providing improved pedestrian routes through the area and to Elephant Park. The plans include 979 new homes, 35% of which will be affordable homes, including 116 social rented homes. They also include new leisure space, shops and restaurants; a cutting-edge new campus for London College of Communication and a new entrance and ticket hall for the Northern Line tube station. Borough Triangle is a Peabody scheme to redevelop a 2.5 acre brownfield site by providing new homes, commercial space and substantial new public realm. Future plans for the site are currently being developed and in the interim it’s being used for a market, pop-up cinema, and workspaces operated by Mercato Metropolitano. The Castle is a new Southwark Council leisure centre next to St Mary’s Churchyard. 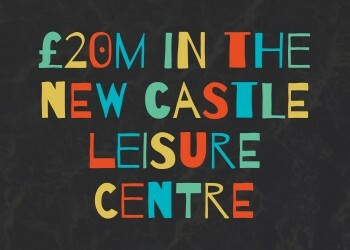 It includes a six lane, 25 metre swimming pool, a sports hall and a fully equipped gym and indoor cycle studio. 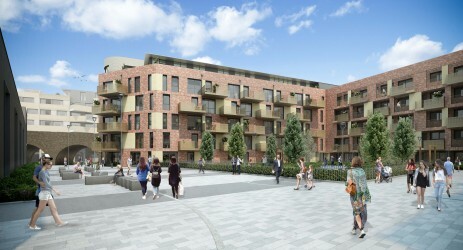 Chatelain House is a planned development from Durkan that will deliver 54 homes, including 17 at social or intermediate rents, as well as retail space on the ground floor. Crossway Christian Centre is a two-storey development on Hampton Street which opened in 2017. It hosts the United Reform Church as well as providing facilities for other members of the community. Elephant Road, the first phase of the new town centre development, consists of 374 new homes for rent; 272 student studios; a Sainsbury’s supermarket; a GymBox gym; a crèche and several restaurants. It also includes Castle Square, a new public space with a regular market, which forms the gateway to Elephant Park. Elephant Square is a major new public space. 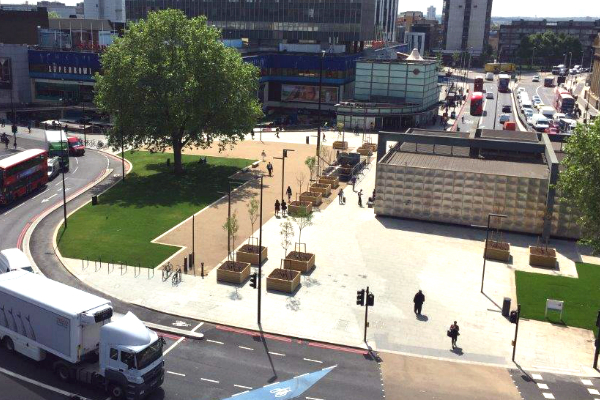 Transport for London has reconfigured the road layout at the former northern roundabout, turning it into a peninsula and creating a new public square. 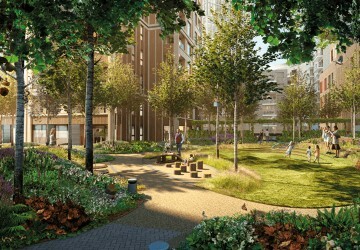 Uncle (from the Realstar Group) at Newington Butts comprises 457 new homes. 278 of these have been marketed as Uncle apartments for private rent. At least 75 have been allocated to council tenants and 44 are being managed by Peabody as shared-ownership homes. The development also includes a café, gym, sky lounge and a permanent new home for the Southwark Playhouse (due to open in 2019). 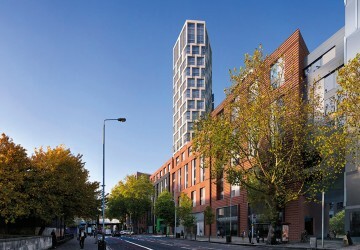 The Kite is a 25 storey tower under construction on Newington Causeway. When complete, it will house a 140-room hotel, a retail unit and 48 new flats – including 15 affordable homes. 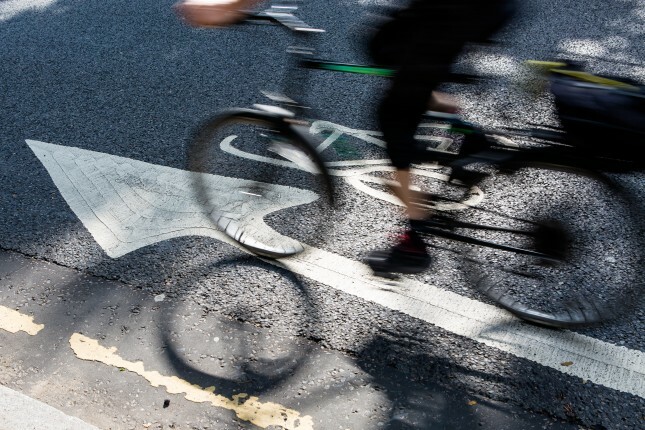 The development will also create a new walking route from Newington Causeway to Tiverton Street. London College of Communication, UAL, is proud to be staying in the area and relocating to the new town centre development. Its new, cutting edge building will add to the college’s rich heritage and will make it even more open and accessible to the local community. London South Bank University has set out proposals to redevelop part of its Newington campus as the St George’s Quarter Development. The plans include new teaching space; a performing arts centre; exhibition space; three landscaped public areas and a new library and learning resource centre with a robotic book retrieval system. Manor Place Depot is a former council waste depot and public baths which is being transformed by Notting Hill Housing into a mixed-use development. It will deliver 270 new homes including more than 100 at social or intermediate rents. The demolition of redundant buildings has begun and the first new homes are expected to be available from the beginning of 2019. One the Elephant is Lendlease’s landmark 37 storey residential development. It includes 284 homes as well as cafes and retail space on the ground floor. 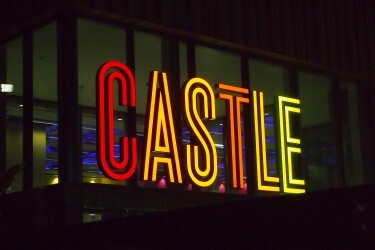 Sales from the scheme helped to fund Southwark Council’s new leisure centre, the Castle. The Royal Mail Depot on Crampton Street is set to be redeveloped for housing if plans are approved for a seven-storey development consisting of 50 new homes, including at least seven affordable flats. The Signal Building is a 22 storey residential development on Newington Causeway, completed in 2014. 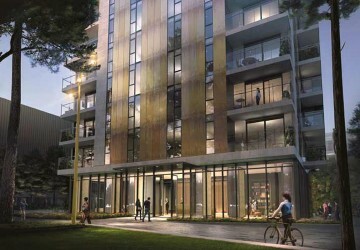 It includes 38 residential units and 366 sqm of commercial floorspace. Skipton House is a mixed used development from London and Regional. The plan is to reconfigure and extend the existing building, adding six additional storeys to provide extra office space and a new gym. The ground floor will accommodate new retail and commercial premises. 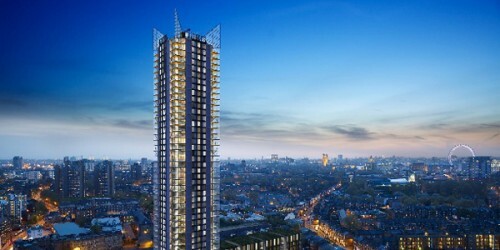 Trafalgar Place was Lendlease’s first development in Elephant and Castle. 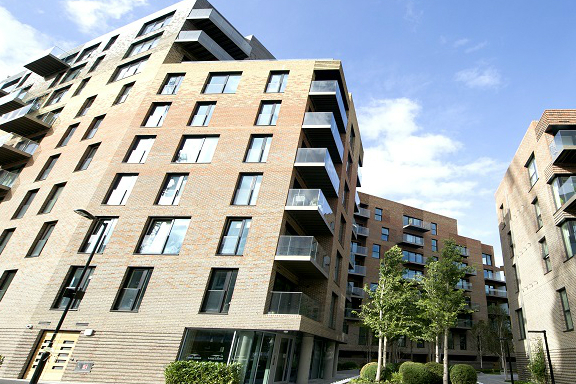 Sited next to Elephant Park, it delivered 235 new high quality homes, including 25% affordable housing. Designed to sit naturally within its immediate surroundings, Trafalgar Place was awarded ‘Best New Place to Live’ and the ‘Mayor’s Planning Excellence Award’ at the prestigious London Planning Awards. 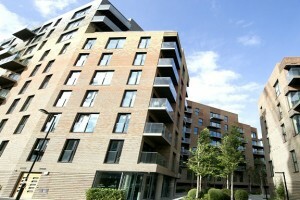 Two Fifty One is a development on the former site of Eileen House, Southwark Bridge Road. It will include a 41 storey tower for residential and commercial use plus an eight-storey building for retail and office use. Walworth Square is a new public space, at the junction of Walworth Road and Wansey Street, that opened 2018. 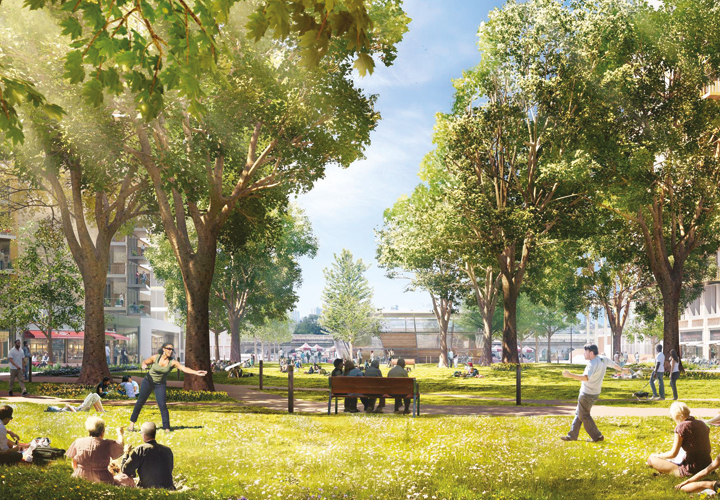 Part of Lendlease’s Elephant Park development, the square – which is also home to the new Southwark Memorial – will host public events, celebrations and commemorations in years to come. Walworth Town Hall was damaged by fire in 2013. Southwark Council remains committed to bringing this historic building back into use. However, pressure on capital and revenue budgets and changes in service requirements mean the council’s original plans are no longer viable. So Southwark is currently seeking a partner to help restore the buildings, primarily as an arts and culture venue for Walworth. The Wansey Street side of the restored building will face the new Walworth Square. 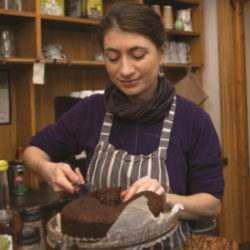 Hotel Elephant is a not-for-profit company, established in 2009 to support the borough’s artists and makers. 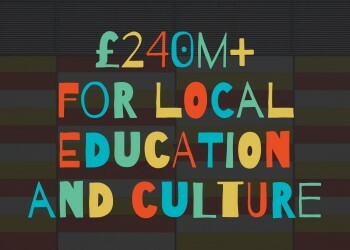 It provides affordable workspace and runs a programme of education projects, exhibitions, events and film screenings. Find them on Spare Street – a row of converted railway arches named in honour of Walworth artist Austin Osman Spare. Mercato Metropolitano is an Italian market, supermarket and food and drink venue housed in a disused paper factory on Newington Causeway. 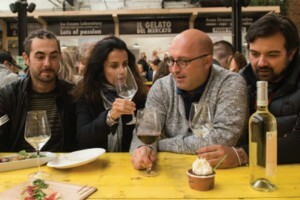 Spanning over 45,000 ft, the market brings together small producers, farmers and artisans from across London and Italy. 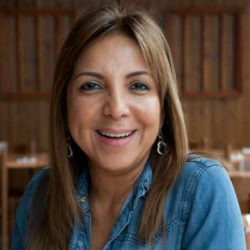 The site also contains a cookery school, vegetable garden and in-house cinema. The Art Academy is making use of the Newington Library building on Walworth Road. The library was put out of action in 2013 by a fire at the Town Hall next door. Now The Art Academy is using the building on a temporary basis for exhibitions, studios and classes. LCC Studio is based in an unused unit in the shopping centre. 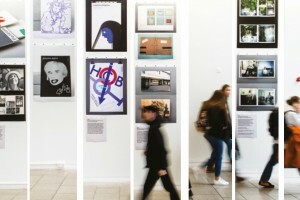 It’s been designed to open up London College of Communication’s design, media and communications work to the public. 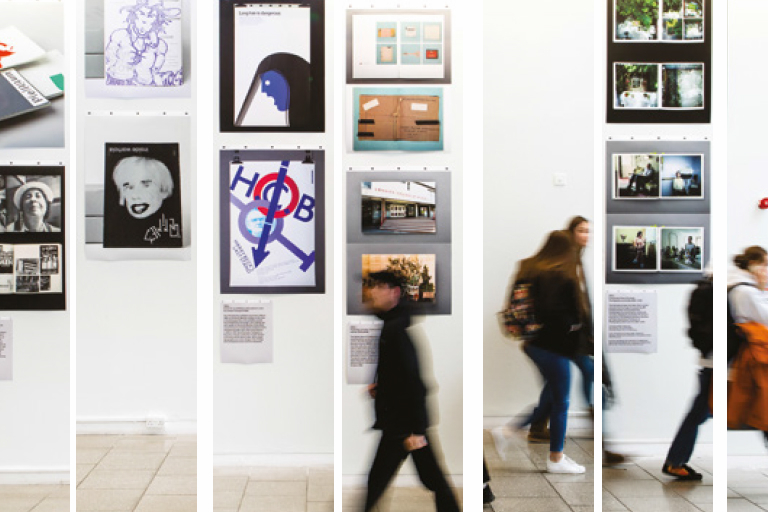 The studio has already seen students collaborate with members of the public on a range of engaging activities and plenty more are planned in the months ahead. 55 East is a new, permanent community and enterprise hub opening on East Street. Created by Hatch, one of the UK’s leading community enterprise charities, this new venture includes a combined co-working and training space; a community café and a retail and event space for local designers and community groups. The Castle Place Project is a scheme to reclaim two neglected sites near Hayles Street for the community. The idea is to create a new neighbourhood hub, linking inspirational green spaces with a community centre and workspaces. Everyone will have the chance to contribute and benefit from the new hub, in a dynamic revival of the area’s heritage. Drawing Room is a free, public art gallery dedicated to contemporary drawing. The gallery moved from Bermondsey to a disused building in Rodney Place in 2018 where it will continue to host exhibitions, talks and workshops.